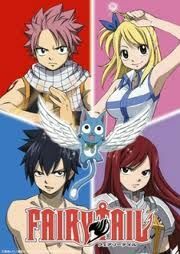 You are going to Watch Fairy Tail (Official Dub) Episode 44 English dubbed online free episodes with HQ / high quality. Stream Anime Fairy Tail (Official Dub) Episode 44 Online English dub Thunder Palace.Erza defeats Evergreen, freeing everyone under the stone spell. Since Laxus has lost his hostages, he takes the whole city hostage with the Thunder Palace spell, consisting of lacrima spheres infused with lightning magic that will rain down bolts of lightning and have been enchanted with magic that deals equal damage to the one who attacks it. While Fried is sent to finish off the remaining members of Fairy Tail, Laxus declares he will deal with Erza and Mystogan. Meanwhile, Levy works to dispel the runes around the guildhouse as Lucy and Happy encounter Bicklow. Despite her best efforts, Lucy is overwhelmed and her keys stolen until Loke arrives by his own will to save her and continue the battle.